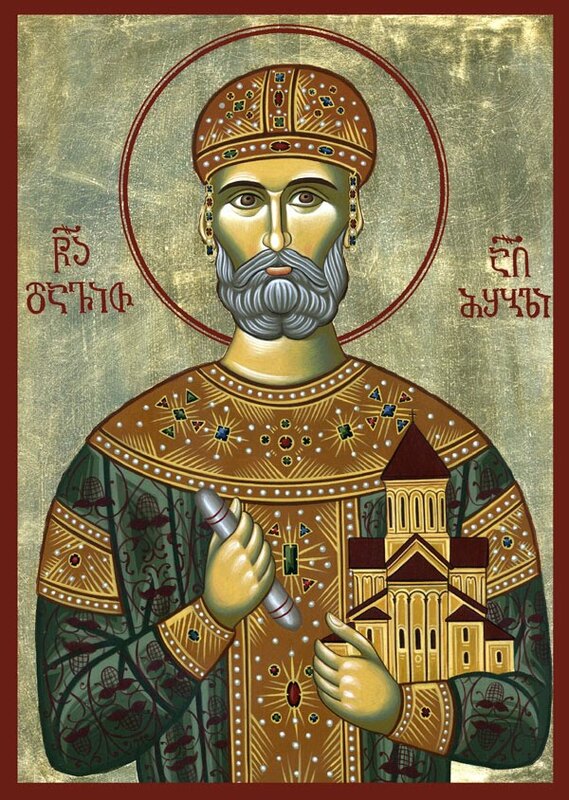 DAVID IV, the greatest of the Georgian Kings, ascended the throne in 1088, at a time when Georgia had been utterly devastated by incursions of Seljuk Turks. King David was exceedingly devout and God-fearing. He would arise before daybreak to pray, and would always finish his activities at midnight with the reading of his most cherished book, Holy Scripture, from which he would not separate himself even on the battlefield! He waged constant and unrelenting battles against the enemies of, and conspirators against, his nation’s freedom: the Turks, Armenians, Persians, and others. He did not rely on his own powers, but rather on prayer and Divine help. Once, during a battle against the Turks, the Patron Saint of Georgia, the Great Martyr George, appeared and drove away the barbarians. Another time, a thunderbolt struck him. He was saved by a gilt Icon of the Archangel Michael that he wore on his chest. His deeds of mercy and philanthropy were countless. 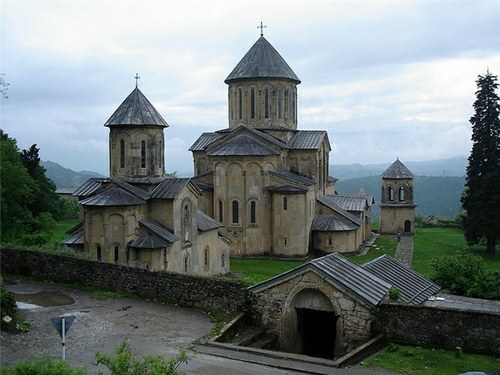 In particular, he assisted in the restoration and rebuilding of Churches and monasteries, not only in Georgia, but also in the Holy Land, on Mt. Sinai, on the Holy Mountain (Mt. 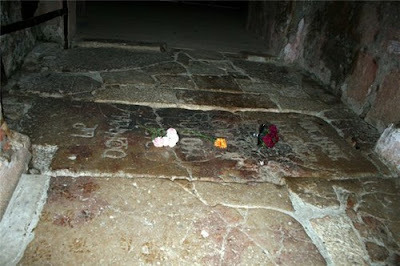 Athos), and in Cyprus. In addition to endeavoring to regain freedom for his nation, he also took pains to normalize ecclesiastical life. He convened a great national Church Synod in 1103, which confirmed the Orthodox Faith and regulated ecclesiastical order. The Orthodox Faith then experienced a significant blossoming — the beginning of the “Golden Age” of Orthodoxy in Georgia, in which the country experienced progress in all sectors, in literature, and in the the arts. He composed a Canon of Repentance based on the model of the celebrated Canon by St. Andrew of Crete — an indication not only of his Godly learning, but also of his own profound and conscientious cultivation of this deifying virtue. King David peacefully reposed, full of Grace, on January 26, 1125 (the day on which his memory is celebrated by the Georgian Church). As a model of humility, he ordered that he be buried at the entrance of the Monastery of Gelati — which he built, and which stands to this day — so that those entering therein would, of necessity, walk over his grave. This did, in fact, happen for centuries, until the Translation of his Holy Relics! 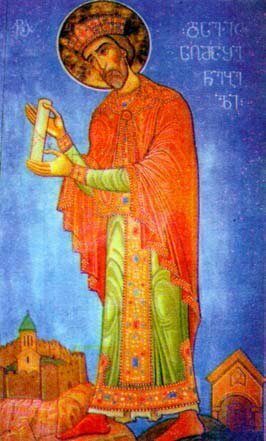 Through the intercessions of the Holy King David of Georgia, O Christ our God, have mercy on us and save us. Amen!